Revenge. Power. ‘Cause the screenwriter said so. The motives for film adaptations of comic book villains are plentiful and diverse. Sometimes they seem merely there for the superhero to thrash against, but every so often audience members find themselves thinking “but… he’s right, right?” Morality is a gray area, and while the following baddies may have been a bit more bloodthirsty than their lighter shadows, their logic is bulletproof. Let’s take a look at some level-headed rogues. Okay, the best place to start an argument for sane bad guys may not be with the craziest one of all time, but sometimes the Clown Prince of Crime was so crazy he started making sense. The Joker believed that everyone was inherently evil and selfish. If you’ve ever ridden public transportation before, you’d know this to be true. While he may have been thwarted by the passengers of the ferry for this theory, his backup test proved positive. He hypothesized that everyone was just “one bad day” away from becoming just like him, a crazed villain. To prove his point he gave Harvey Dent a bad day. Sure enough, the man went Two-Face, killed a few people, threatened some children, and shot Batman. Had Batman not stopped him, Dent’s bad day could have led to Gordon’s bad day, and gone on and on. “Insanity is like gravity, sometimes all it takes is a little push.” The Joker tells Batman, perfectly summarizing his ideology. While he may still be a villain because he wants to push everyone, plunging the world into chaos, he had a point in that he could. Probably the most successful of the movie adapted comic book villain characters. The man blew up New York City and got away with it (probably). In the height of an alternate-history’s version of the Cold War, the smartest man on Earth, Ozymandias, devised a solution to create world peace: create a common enemy for the whole world to unite against. Solid plan, right? Of course to do it he had to subtly give a bunch of people cancer, trick a god, and kill 8 million people. While that death toll would cause just about any superhero to jump into action against him, the man’s results spoke for themselves. The world united against the fiction Ozy created, the threat of global nuclear war was eschewed, and the extinction of the whole human race, avoided. All for the low, low price of .07% of the human population. A mass murderer, but also the savior of humanity. With a name like “Killmonger”, you kind of have to be the bad guy, right? There’s very little chance you’ve earned the name nannying children in London and teaching them the power of using their imaginations. 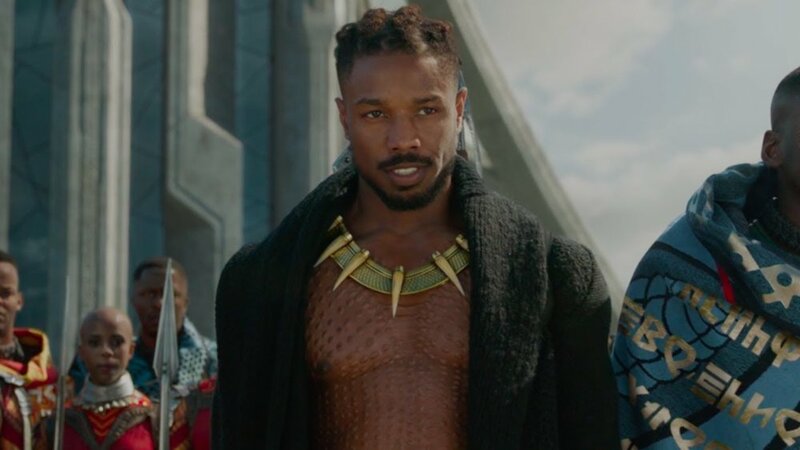 Erik Killmonger (beautifully played by the devilishly handsome Michael B. Jordan) endured many hardships growing up and saw racial injustice everywhere. Injustices he knew could have been avoided if his native land Wakanda would have been more open to the concept of foreign aid. While Killmonger’s plan to arm everyone, rise up, slaughter everyone in power and their families was a ruthless wardog, fighting-fire-with-fire approach to the situation, the crux of his concern rang the truth of the whole film. A truth that the hero of the story took to heart and carried out in the end, learning something from his enemy. Hela (“Thor: Ragnarok”): The eldest child of the god-king Odin, and his right-hand, Hela and Odin battled through the cosmos, conquering all. Eventually Odin’s bloodlust was sated and he wanted to settle down. Hela did not. This disagreement caused him to lock her away for millennia until his death, upon which she tried to take the throne that was rightfully hers. Like his father, her bloodlust scared Thor and he destroyed his planet to keep her from ruling. She was only doing as she was raised, and did nothing illegal in her Asgardian judicial system, so is she really even a criminal? The Vulture (“Spiderman: Homecoming”): It’s hard to think of Michael Keaton as a villain, and that may be where this is coming from, but look at the man’s timeline. He had a good job, caught a break with the attack on New York, and had his legs cut out from under him by the government just because. So, he steals what he needs to cover his losses. True, he sells the excess to the black market, but if he didn’t need to go dark for a job, he’d have been happy to work in construction the rest of his life (perhaps this is another example for the Joker). Syndrome (“The Incredibles”): “When everyone’s super, no one will be.” True, not technically a comic book, but a “supervillain” nonetheless. Technically. 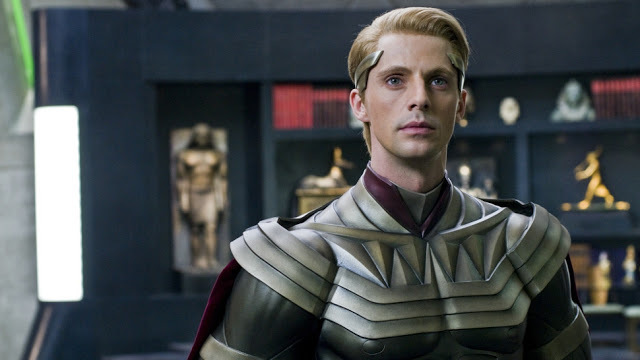 Yes, he killed a bunch of superheroes (a truly dark action that seems to be overlooked in this children’s movie), but he did it to equip humanity with technology to simulate superpowers. He would upgrade the human race so that everyone can have the chance to be super, the chance that he was denied as a young boy. True, he would have ground out a hefty profit from the venture, but is it a crime to make money off of hard work and progressive technology? It’s not like he sky-rocketed the price of a necessary medication. That would have been irredeemably evil, completely devoid of empathy and not fitting for this list.